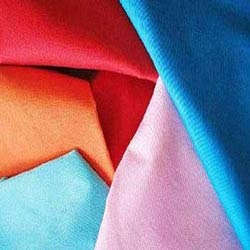 Garment Fabrics | Tirpal Udyog - Tarpaulins, Canvas, Silpaulin, PVC Coated, HDPE/LDPE Coated Fabrics, Drill, Twill, Suede, Air Mesh..
We are actively engaged in offering a broad collection of Garment Fabrics that is highly appreciated for attributes like high durability, fine finish and smooth texture. This cloth is manufactured using superior quality approved fibers & yarns as per the set industry standards by our experts. To ensure its flawless finish, this cloth is stringently tested on various quality parameters. We offer this cloth in different shades, patterns and prints at industry leading rates. A strong cotton fabric, our range of Drill Fabrics is superior in quality. Uniform weaving makes these fabrics durable. We offer these drill fabrics in various attractive colors that befit the choices of various choices of individuals. 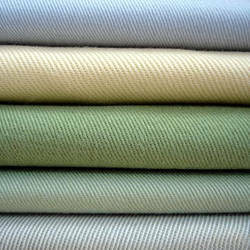 We are introducing a comprehensive range of Twill Fabric that is available in different shades, patterns and finishes to suit diverse requirements of our clients. 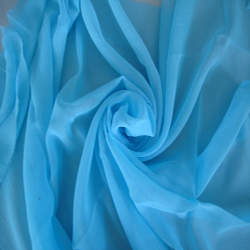 This fabric is manufactured under the supervision of our experienced professionals using excellent quality yarns & fibers. In order to ensure its flawlessness, this fabric is checked on several quality parameters. 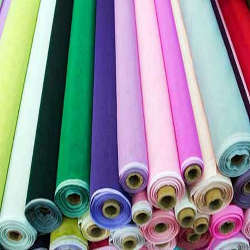 We offer a broad variety of Sheeting Fabrics for Indian and Global clients. Made as per international standards, our Sheeting Fabric range is manufactured using high quality cotton and polyester that are woven by high-end machines. This is to ensure that our Sheeting Fabrics have a uniform texture and structure, making it easy to make any furnishing material out of them. Made available in different blends and weaves, these Sheeting Fabrics are designed by in-house experts. With the help of our professionals, we manufacture and supply a high quality collection of Voile Fabrics. These fabrics are crafted by our skilled craftsmen using high quality basic material color combinations and patterns. 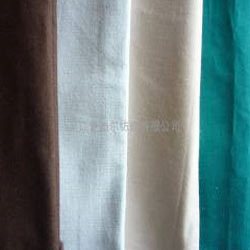 Furthermore, we offer these cotton voile fabrics at industry leading price to our valued customers. As an eminent manufacturer and supplier, we are instrumental in offering an excellent quality range of Laminated Fabrics. 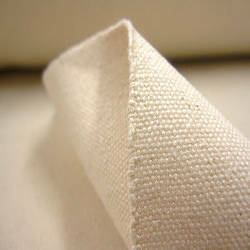 This cloth is manufactured by our experts using of high grade yarns & fibers. Available in different finishes, patterns and colors to suit specific requirements of clients, the offered cloth is extensively used for manufacturing various kinds of products. 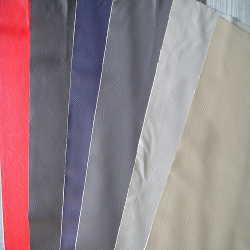 We are ranked amongst the notable manufacturers and suppliers of an exquisite range of Dyed Fabrics. These fabrics are manufactured by our experts in compliance with the international standards using modern technology and high grade fibers & yarns. We offer these fabrics in different patterns, finishes and sizes at market leading price.